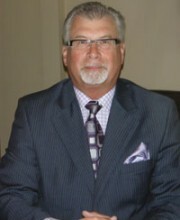 Since 1987, Graham has served in various management positions with a major Canadian financial services company. Recently, as part of a long-term career plan, he retired from management to build a financial security practice on a full-time basis. Graham is looking forward to helping his clients and prospects to establish solid financial security plans to help them protect the things that matter the most. Graham enjoys the lifestyle of Central Vancouver Island with his wife of 38 years, Vicki, and their two dogs, Nikka and Buddy.